(CBS/AP) BELLEFONTE, Pa.- The young man known as "Victim 1," whose claims of sexual abuse began the criminal investigation that put Jerry Sandusky in prison, has spoken out publicly by name for the first time to People magazine on Thursday and in a pre-recorded interview thats air on Friday on ABC. Aaron Fisher, 18, told "20/20" that he no longer wants to be known as an anonymous victim. "Victim means, people feel sympathy for you, I don't want that. I would rather be somebody who did something good, like a hero or something," he said. Fisher told People magazine that he has decided to come forward with a book, Silent No More: Victim 1's Fight for Justice Against Jerry Sandusky, with his psychologist, Mike Gillum and his mother, Dawn Daniels, to encourage other victims to tell other people about sexual abuse. The book will be published on Oct. 23 by Random house. "Saying sexual abuse happened was hard," Fisher told the magazine, "But I wanted to help people see that it is better to come forward and tell somebody than to be silent." Fisher, who came from a struggling family with no father, detailed his relationship in his interview with "20/20" explaining how Sandusky, a former Penn State assistant football coach, went from being an "all-natural father figure" to a controlling predator. Fisher said he first met Sandusky at age 11 in 2005 when he attended a camp run by Sandusky and the Second Mile charity at the Penn State University campus. He told ABC that Sandusky singled him out because of his athletic potential. He first began taking him to sporting events and eventually began inviting him to spend weekends at his home. There, Fisher said, Sandusky took him to the basement where the abuse began; Fisher was 12. By high school, Fisher says that Sandusky became even more aggressive. He was a volunteer football coach at Central Mountain High School and would pull him out of class and even once chased him home from school in his car. "He once followed my bus home from school. He told me to get in the car. I took off running. He drove on the opposite of the street, onto oncoming traffic to catch up with me, and then I ran up an alley, he went to my house and parked out front," Fisher told "20/20." "Yeah, it was that bad." Fisher says his mother was alarmed by the hundreds of phone calls Sandusky made to their home. 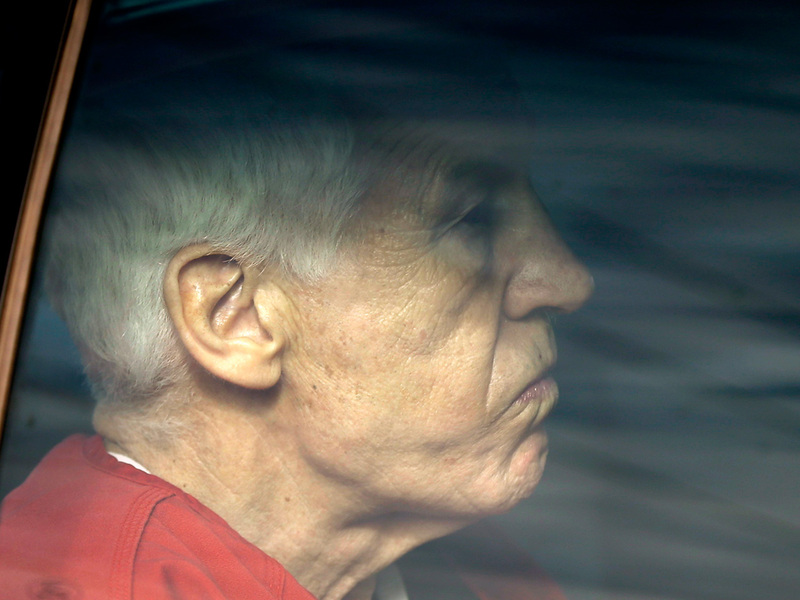 At 15, Fisher finally told his mother and Karen Probst, the school's principal, that Sandusky was sexually abusing him. Finally on Nov. 5, 2011, Penn State graduate assistant Mike McQueary said that he has witnessed Sandusky molesting a boy in a university locker room years earlier, a breaking point in the case. On Oct. 9, 2012, Sandusky was sentenced was sentenced to 30 to 60 years in prison after being convicted on 45 counts of sexual abuse. Fisher told People magazine that going public is the start of a new chapter in his life. He plans to study criminal justice in college next year. In People, Fisher offered advice to other victims of abuse: "Make sure you don't give up on doing the right thing, because for every time you stay quiet, there's the person who did something to you, doing it to somebody else. Instead of being a victim, you can be a hero." Fisher's first public interview was not the only piece of news released on Thursday relating to the case: Sandusky filed a 31-page document to overturn his child sexual abuse convictions with a set of motions claiming that there wasn't enough evidence against him and that the trial was unfair. Sandusky wants charges tossed out "and/or" a new trial. He is currently in county jail near State College and is awaiting transfer to the state prison system to begin serving his sentence.